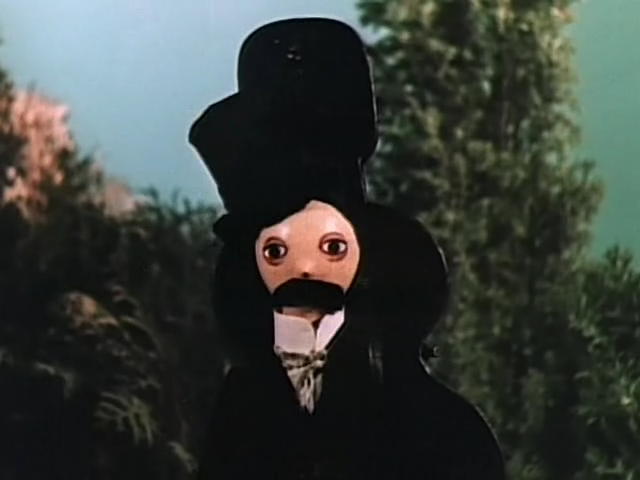 You are currently browsing the category archive for the ‘Jiří Trnka’ category. In a self-contained world, seemingly outside space and time, an harlequin lives happily in his home. The harlequin is an artist, a ceramist and a sculptor, making pots for his beloved plant. Unfortunately, his domestic peace is disturbed by a giant gloved hand, which orders him to sculpt a statue of a hand. As the harlequin keeps refusing, the hand uses praise, money, indoctrination, brutal force and erotics to persuade the artist to do what he’s ordered. In the end the harlequin is caught, his hands are attached to strings worked by the hand, and he has to sculpt a giant hand in a cage. But, after finishing his works, the artist escapes and returns to his beloved home. It sadly is his own beloved plant that kills him by falling on his head, while he’s barricading the entrances to his room. The hand gives the artist a state funeral, making him posthumously part of the system. 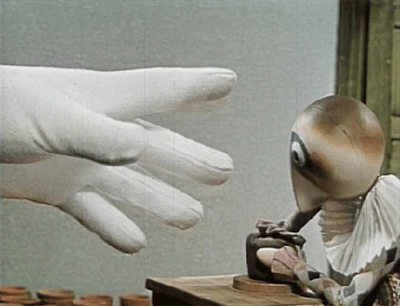 ‘The Hand’ was Czech puppet animator Jiří Trnka’s last film, and it was to be his masterpiece. 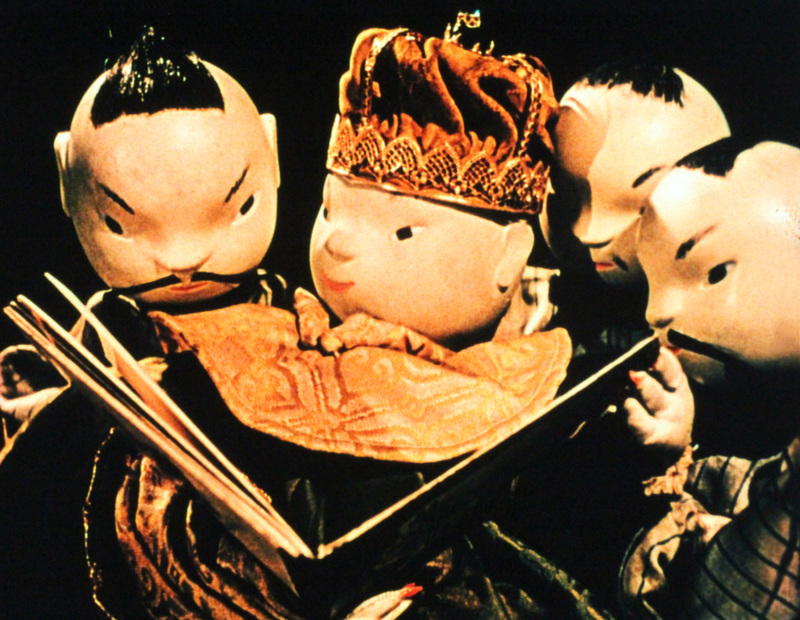 Instead of diving into classic tales, he made one of his own, resulting in a most personal film and one that stands as the classic animated tale on totalitarianism. Trnka manages to tell his tale without any dialogue. 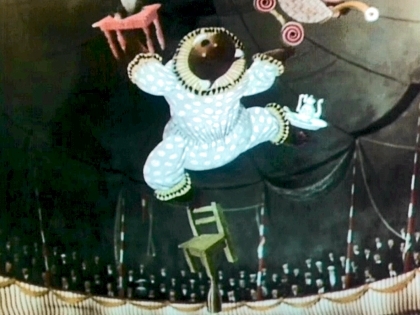 Although the puppet of the harlequin knows only one expression, his emotions are well-felt through his animation. There’s no doubt he’s symbolic for artists working in totalitarian regimes in general. The glove is a masterstroke. In its facelessness it is as scary as it is symbolic for the invisible hand of totalitarian power. 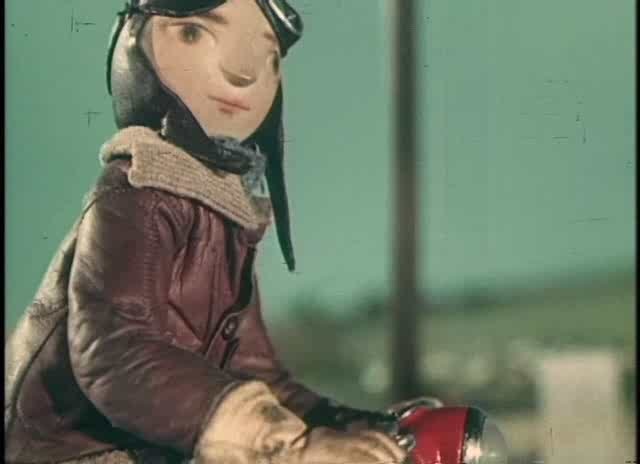 The result is an equally sad and disturbing film, which shows both Trnka’s genius and the power of animation in general. 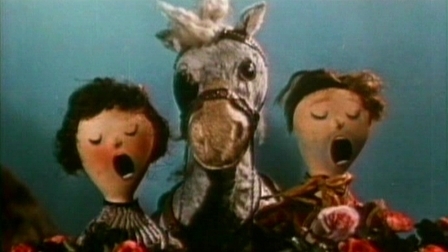 It’s no small surprise that this highly symbolic film was forbidden in communist Czechoslovakia. ‘The Hand’s message is still topical, being symbolic for artists working in oppressive regimes all over the world.